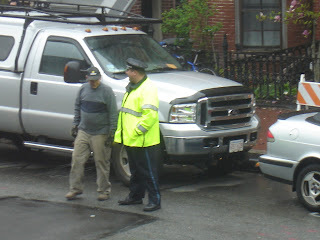 From a Boston.com article: "State officials say they want to use civilian flaggers, allowed under a new state law, to save money; police in Boston and elsewhere, who can earn huge amounts of money working at construction sites, have argued that public safety is better served by having officers, rather than civilians, working the jobs". And: "When Boston police details are used, officers are paid for a minimum of four hours, even if not needed that entire time." 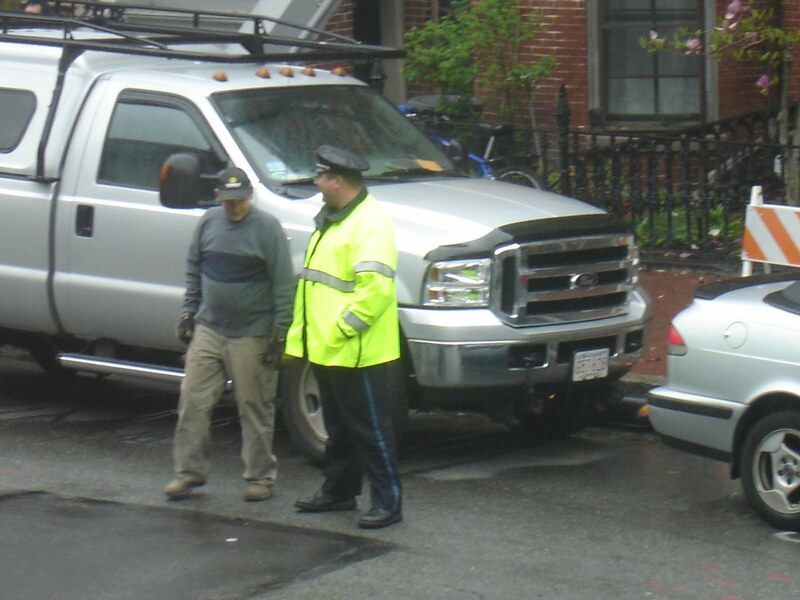 We all know and appreciate the dangerous work that Boston police perform every day. There aren't many professions where exists the very real possibility that you can lose your life in performance of your job. Policemen face that possibility every time they put on the uniform. They should be appreciated and absolutley paid well for that risk of life. But, to strong arm city and civilian construction projects for a 4 hour minimum compensation for a 4 hour or less job, to get paid overtime for it and further increase the siphoning of the taxpayer is predatory. I don't know how many private sector jobs where you and I can earn literally $111,518.04 in overtime alone on top of $96,679.36 in base salary for a combined income at taxpayers expense of $226,966.70! Are you kidding me? Mayor Menino makes $150,000 per year. If I, in my private sector management job, accrued a few extra hours (just hours) of overtime in a single pay period, I'd be expected to make sure it doesn't happen again any time soon. After all, private sector jobs have things like budgets to adhere to. And companies have a strong incentive to make those budgets because, when you don't make budgets, money is lost. If money is lost, business is not successful. But if I, as a public sector employee in a management position, month after month recorded overtime in my department, it would simply be an interesting statistic to be reported in an annual budgetary excel spreadsheet. What's the big deal? Tax payers aren't going any where. Take a look at the absurd overtime for Boston cops for yourself. So let's push for more trained flaggers (thay are indeed trained and sanctioned) and less cops staring pensively into potholes while sipping coffee for a 4 hour minimum tax robbery.